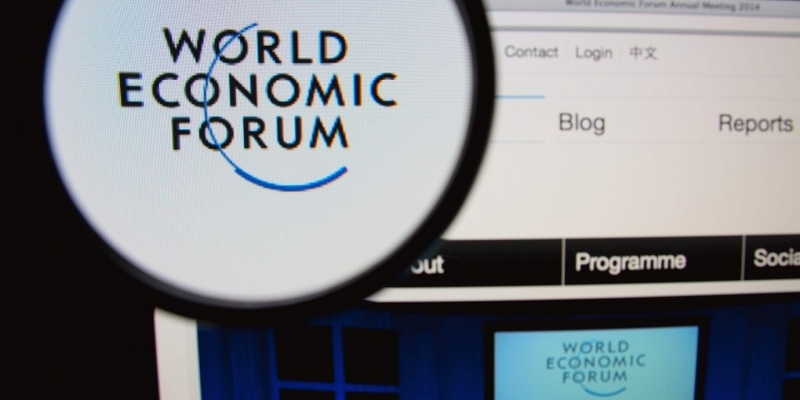 The World Economic Forum (WEF) has identified blockchain technology as one of its six mega-trends in a new report broadly aimed at outlining the expected transition to a more digital and connected world. Compiled by the WEF‘s Global Agenda Council on the Future of Software and Society, the report included the results of a survey of more than 800 information and communications executives and experts. Perhaps most notable among the poll’s findings is that those surveyed believe the “tipping point” for government use of the blockchain will occur by 2023. For purposes of the survey, blockchain technology was broadly defined as “an emerging technology [that] replaces the need for third-party institutions to provide trust for financial, contract and voting activities”. In turn, the survey suggested bitcoin and the blockchain would reach a “tipping point”, or a point at which it becomes broadly adopted, by 2027. Respondents were given a range of potential responses to survey questions, which included the ability to respond with answers such as “it has already happened”, it will happen in “20+ years” or it will “never” happen. Of the respondents, 73.1% reported by that taxes would first be collected using a blockchain by 2025, while 57.9% affirmed they believe 10% of global gross domestic product (GDP) would be stored on a blockchain by this time. By comparison, 91.2% of survey-takers indicated 10% of people would wear clothes connected to the Internet by that year. Founded in 1971, the WEF is a 600-person independent international organization dedicated to improving the world through collaborations between the public and private sector. As part of its mandate, it holds an annual meeting on politics, economics and social issues. While 58% of survey-takers expect bitcoin and the blockchain to hit mainstream, accounting for 10% of global GDP, by 2025, WEF forecasted the expected date as 2027. “Currently, the total worth of bitcoin in the blockchain is around $20bn, or about 0.025% of global GDP of around $80tn,” the report read. Increased transparency, as the blockchain is essentially a global ledger storing all transactions. Smart contracts were further used as an example of the technology, as the report described how the the blockchain can allow two parties to create complex contracts without a middleman. The process of creating “self-executing contractual states”, it continued, could eliminate the risk that comes from a reliance on third parties. The WEF notably projected that governments would begin leveraging the blockchain sooner than the mainstream public, with this expected transition occurring by 2023. By 2025, 73% of respondents expected this to occur. The report suggested there were potential drawbacks to blockchain-based government systems, including an undermining of central bank and monetary policy, corruption, real-time taxation and changes to the role of government. Of note is that government experiments with blockchain technology are already underway, with the Isle of Man’s Department of Economic Development announcing plans for a trial in May. For more insights, read the full “Deep Shift: Technology Tipping Points and Societal Impact” report.